Smart Meters – Are They Really All That Smart? Consumers Energy has been installing G.E. top of the line “smart” electric meters in much of Muskegon and Oceana counties. On the east side of the state, where Itron smart meters have been in place for a year or more, many people have become ill, and many are refusing to permit installation. We have not had reports of illness yet from Consumers’ new meters, but this could be because they have not had their radio transmitters turned on yet and are scheduled to be replaced next fall. Fight Back! Smart meters cause dangerous levels of non ionizing radiation to penetrate your home, continuously at close range. no proven benefits to utility customers per Attorney General and Michigan Court of Appeals. 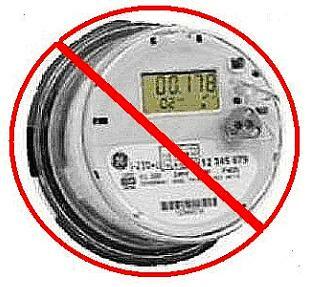 David Sheldon – President – Michigan Stop Smart Meters. Presentation: Failed business case for meters, invasion of privacy, your data sold. Failure of Michigan Public Services Commission to protect utility customers, the administrative hearings and court battles, opt-out plans to be offered. Diana Ostermann – Retired Manager – Cell Phone Industry. Presentation: Detailed comparison of smart meter radiation vs that given off by cell phones. The harm of both types to our long run health according to leading world scientists and health authorities writing for peer reviewed journals. Presentations Will Be Followed With A Question And Answer Period. My husband and I and my two brothers attended the Muskegon meeting. You really opened our eyes on this subject. Will there be another meeting in this area soon? We live in Newaygo County. Our neighbor has already had one installed on his house. HELP! !